One of my goals with my blog and podcast is to make the AIP as simple to follow as possible. That's why I wrote my book! Today, I'm dedicating an entire podcast to the most frequently asked questions I've received over the past five years. 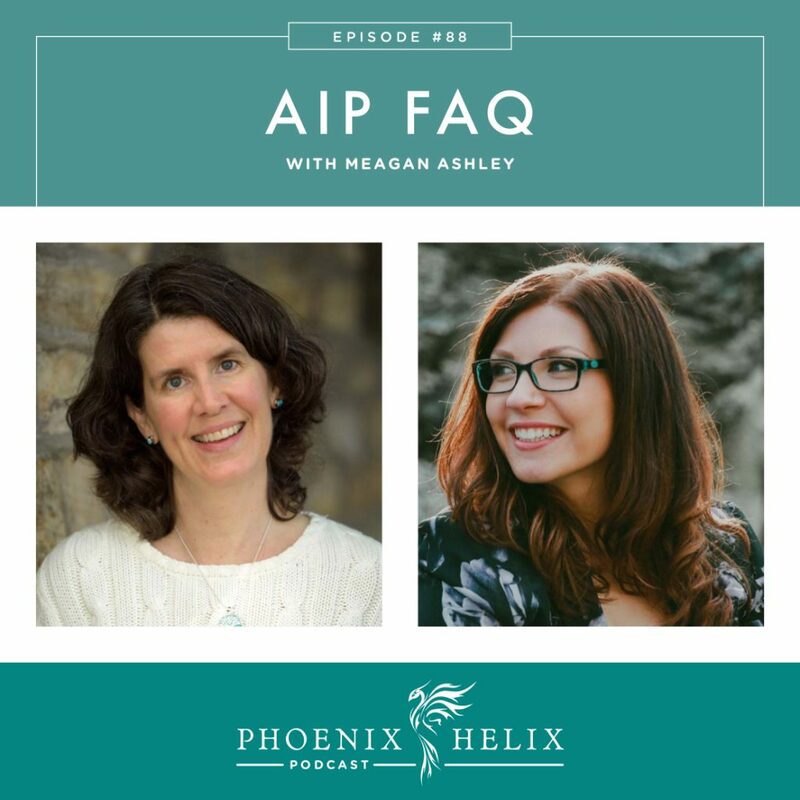 I've invited my friend, Meagan Ashley from the blog, It's All About AIP to co-host. We'll kick off the show with her healing story, and then she'll take the host role and ask me the questions for a change. Are you planning a Superbowl party? 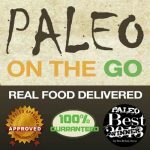 Paleo on the Go just added a new item to their menu: Sweet and Sour Chicken Wings. They also have Cuban-Style Mojo Wings (one of my personal favorites). On the weeks between podcasts, I write articles on my blog. 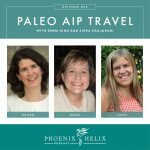 I recently hosted the 200th Paleo AIP Recipe Roundtable, which is so exciting! To celebrate, I gathered together the most popular recipes from the last 100 roundtables in one blog post: Top 100 Savory Recipes + the Top 10 Desserts. If you don't want to miss out, subscribe to my weekly newsletter. Meagan Ashley is the blogger behind the website, It's All About AIP. She has Hidradenitis Suppurativa (HS). She developed the condition at age 11, but didn't get an accurate diagnosis until age 25, when she read the book The Hidden Plague and showed it to her doctor. At her worst, she experienced weekly HS flares, extreme fatigue, gastrointestinal discomfort, eczema, and cystic acne. She also gained 80 pounds, largely due to systemic inflammation. After going AIP, she lost all of the extra weight, her eczema and cystic acne disappeared, her energy returned, and her HS flares are now rare and mild. The lifestyle changes that have made the biggest difference in her healing have been prioritizing sleep, switching to natural beauty care products, and working with a practitioner to improve her digestion. The AIP is a diet and lifestyle program designed to reduce inflammation, heal digestion, deliver nutrition that supports health, and ultimately reverse autoimmune disease. There are four elements to the protocol: the inflammatory foods we avoid, the nutrient-dense foods we eat, the reintroduction process where we personalize our diet, and the lifestyle choices that support rather than detract from our health. Article: What Is the Paleo Autoimmune Protocol? Book: A Simple Guide to the Paleo Autoimmune Protocol. 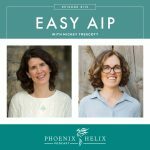 Podcast Episode 3: The AIP with Dr. Sarah Ballantyne. The AIP has the potential to help any autoimmune diagnosis. All autoimmune diseases share common root causes, which is why they are treated similarly by doctors, regardless of diagnosis. The AIP works on these shared root causes. So any autoimmune success story, even if it's a different diagnosis, applies to all of us. Thousands of people have used this protocol to optimize their health. Results vary, but it's definitely worth trying. Start with regular nutrient-dense paleo first, because you might see improvement at that level and not have to restrict any further. If you aren't seeing results, then you can try the AIP. Some people with autoimmune disease are simply undiagnosed. In those cases, the AIP can be very helpful. People without autoimmune disease can often follow the AIP short-term and experience its gut-healing benefits, and then successfully reintroduce many foods back into their diet. Reversing autoimmune disease is not the same as a cure, but the choices we make every day can have a powerful impact on how we feel. The goal is to stop progression of the disease and actually improve symptoms, where you start to feel better instead of worse, reclaiming a vital and joyful life. When it comes to medication, needs vary. Don't stop your medication when you start the AIP. That will almost guarantee a flare. Your autoimmune symptoms need to reduce before you try to reduce your medication. When ready, always work with your doctor, to help you choose which medications to try reducing first. Some people do successfully achieve a medication-free remission, while others feel best with a combination of medication + AIP. It isn't a failure if you need medication. Some autoimmune diseases are more aggressive than others. The goal is to live our healthiest life with all the tools at our disposal. It doesn't have to be an either/or choice. The Difference Between Reversing Autoimmune Disease and a Cure. On some lists of foods to eliminate on the AIP, a medication is also listed: NSAIDs. These are over-the-counter pain relievers that many people take mindlessly, and they can contribute to leaky gut. That's why they are recommended to avoid. However, it's also a class of medication prescribed for many inflammatory autoimmune conditions, such as rheumatoid arthritis, and when eliminated, can leave the patient in extreme pain. Pain also causes leaky gut. If you are prescribed NSAIDs, the same advice shared above regarding all medication applies: wait for your pain to reduce before trying to reduce your medication, and work with your doctor on this choice. If you haven't been prescribed NSAIDs, consciously consider whether you really need it, before taking. There are some supplements that can sometimes replace or reduce the need for NSAIDs: Curcumin, Fish Oil, Boswellia, Willow Bark, and CBD Oil. Resource: When Painkillers Are Good for You. They are both nutrient-dense, anti-inflammatory diets, designed to improve autoimmune health. The Wahls Protocol has 3 levels: Level 1 is a gluten-free, dairy-free diet that's designed to transition people from a Standard American Diet and introduce Dr. Wahls' prescription for 6-9 vegetables daily. Level 2 is a nutrient-dense paleo diet. Level 3 is a ketogenic paleo diet. Unlike the AIP, the Wahls Protocol isn't an elimination diet. So while it does remove gluten, dairy and eggs, it allows things like nightshades, nuts and seeds. If people don't succeed in reducing their symptoms on the Wahls Protocol, Terry does recommend trying an elimination diet like the AIP. Podcast Episode 7: The Wahls Protocol with Dr. Terry Wahls. Article: Comparison of 3 Healing Diets. Food allergies are acute, immediate reactions to foods, and there are accurate lab tests for those. Food intolerances are chronic and cumulative, and have many different root causes. There is no test that accurately predicts them, in spite of advertisements that say otherwise. False positives and false negatives are common. An elimination diet like the AIP is considered the Gold Standard for determining food intolerances. Food intolerance testing looks like a shortcut, but it's actually a detour. Resource: Why Food Intolerance Testing Doesn't Work. Prior to the elimination diet, you are experiencing chronic inflammation from a wide variety of sources, and it's nearly impossible to tell what's contributing and what's not. When you remove the offending foods, your body has a chance to calm down – both in terms of immune response and inflammation. However, the immune system will leave a few “guard cells” circulating to alert the body if an intolerant food is reintroduced. The reaction seems stronger because: (1) you're feeling better to begin with, so you have a clearer baseline for noticing differences in your body. (2) The static has been cleared, and the immune system is able to communicate clearly, letting you know which foods you tolerate well, and which you need to continue to avoid. Although it feels bad, this is actually a good thing – the ability to understand what your body needs. Resource: Reintroducing Foods on the Paleo Autoimmune Protocol. No. There's not enough protein when you combine those diets, and we need protein. However, you can do the AIP as a pescatarian (eating seafood as your primary protein). Article: Can I Do the AIP as a Vegetarian?. Podcast Episode 60: Transitioning from Vegetarian to Paleo. Nightshades are members of the Solanaceae family of plants and contain alkaloid compounds that can be inflammatory for some people. For a complete list see the guide linked below. Black pepper isn't a nightshade; it's a peppercorn which comes from a different plant family (Piperaceae). However, there are some spices excluded during the elimination phase of the AIP that aren't nightshades, and black pepper is one of those. In her research, Sarah Ballantyne found that it can irritate the gut in some people, so it's removed as a precaution. However, it's considered to be less inflammatory than nightshades and is therefore recommended as one of the first foods to reintroduce (whereas nightshades are recommended as one of the last foods). Spices and Herbs Allowed on the AIP. Despite it's name, coconut isn't actually a nut. It's a type of fruit called a drupe. It is allowed on the AIP, and you'll find it in many recipes. However, it does contain a type of fiber that some people have trouble digesting. Sometimes it's simply a matter of amount, and there are recommended daily maximums: Limit coconut milk to 1 cup daily, coconut flakes/coconut butter to 1/4 cup daily, and coconut flour to 1/8 cup daily. There is no need to limit coconut oil. Coconut has many health benefits as well, so don't remove it from your diet pre-emptively. But if you do have digestive distress after consuming even small amounts of coconut, you can do the AIP without it. Everything You Ever Wanted to Know About Coconut. Coffee (and chocolate) are both removed from the protocol because they are seeds. And coffee specifically can provoke an inflammatory response in some people. Caffeinated teas are allowed in moderation: Black Tea, Green Tea, White Tea, Yerba Mate. However, if you suffer from adrenal fatigue, it's best to wean yourself off caffeine altogether. Some healthy alternatives include bone broth, hot water with lemon, or turmeric lattes. Resource: AIP Herbal “Coffee” Recipe. Natural sugars are allowed, but it's easy to overdo. Maximum should be somewhere between 1 teaspoon and 1 tablespoon daily. They're best reserved for special occasions. 50 Low-Sugar Paleo AIP Desserts. Sometimes when we remove certain foods from our diet, we don't replace them with an equal amount of allowed foods. So, be sure you're eating enough. Your 3 main meals should be large enough to be satiating and contain protein, vegetables, and healthy fats. If you get hungry between meals, choose healthy and satiating snacks like avocados, sardines, liver paté, or mini meals made from leftovers. Avoid fruit as a snack. It's not satiating on its own and is best eaten alongside a meal for a healthy blood sugar response. Limit your natural sugar consumption. Sugar increases hunger. Satiating AIP Snacks You Can Buy: Wild Zora, Epic Bars, and Paleo Angel all have AIP flavors. You can find all of these on Shop AIP. 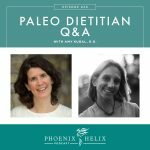 These topics were covered in detail in Episode 46: Paleo Dietitian Q&A with Amy Kubal. The AIP is a healing diet and lifestyle that has the potential to improve your quality of life. That said, it's not magic, nor is it a cure. And results do vary. Some people see dramatic improvements, some slower improvements, and some see no improvement at all. If you're in that latter category and you've been following the AIP for 3 months, it's time to do some troubleshooting. If you feel worse on the AIP, it is possible to experience a “Carb Flu”. If you ate a high amount of carbohydrates, especially refined ones prior to going AIP, the body goes through a transition period where it adjusts to that loss of sugar. However, this should only last a few days. To help, make sure you are eating the starchy carbs allowed on the AIP. If you feel badly for longer than a few days, stop the AIP and seek professional guidance. The goal with the AIP is to feel better, not worse. Some people might need special adaptations of the diet. For example if you have IBD with intestinal strictures, it might be difficult to consume the recommended amount of vegetables. That's just one example. 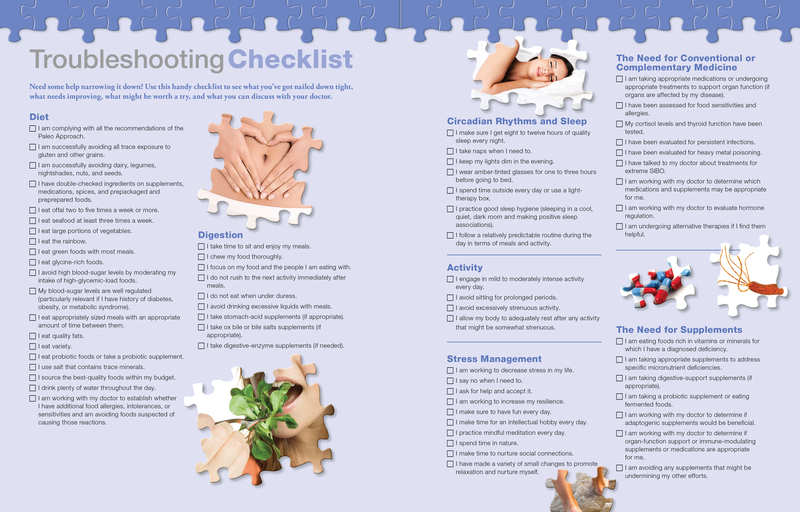 The Paleo Approach Troubleshooting Checklist. How to Keep a Symptom Journal. Podcast Episode 83: Medical Study on the AIP for IBD. Meagan Ashley is the blogger behind It's All About AIP. In addition to AIP recipes and lifestyle posts, she also writes about her international travel experiences.